I’m an old man at heart. It’s true. I own a pair of slippers I wear unironically when my feet get cold. I recently complained “about the kids these days, with their haircuts and their complicated shoes.” I’ve briefly lectured to a friend about the benefits of yogurt. Because of this old-man-ness, I have never been able to dive fully into the electronic music scene. I know that’s tantamount to treason here on the pages of ATG, but for whatever reason, I’ve never been able to connect fully with the bass drops and oontz oontz oontzes you all love so well. And then I heard Flume. 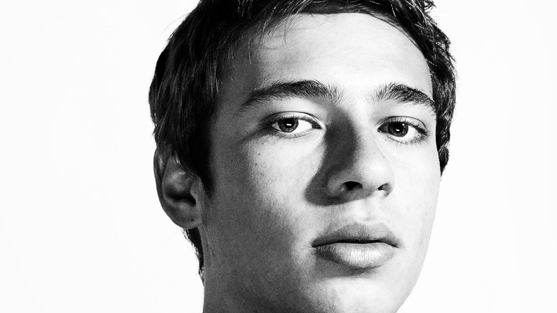 Flume is Harley Streten, a producer from Sydney, Australia who looks like he’s about 14 years old. Last year he released the excellent self-titled LP, Flume, which you can find on Spotify and iTunes. Flume is electronic music. But it’s also got huge soul and hip hop elements. He isn’t afraid of melody, and he’s got a great ear for it. He also isn’t afraid of a bass drop every once in a while, so no fear, young people of DC. He makes electronic music even us old ones can love. He’s playing tonight at U Street Music Hall. It’s $10 ahead of time and $12 at the door, and you can snag tickets now. Doors are at 9 pm. There will be a crew from ATG there, and we hope to see all you crazy kids. I’ll be the guy in the slippers.